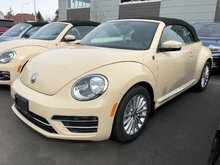 Home > New Vehicles > Volkswagen > Beetle Convertible > 2019 > 2019 Volkswagen Beetle Convertible Convertible Wolfsburg Edition w/ Style Pkg. 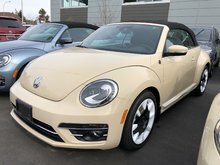 2019 Volkswagen Beetle Convertible Convertible Wolfsburg Edition w/ Style Pkg. The last chance to own a legend! The farewell tour! The 2019 Beetle Wolfsburg Edition is saying goodbye with a bang. Now’s your last chance to own this fun-loving icon, and we’ve given it a modern spin to make sure it’s truly never forgotten. 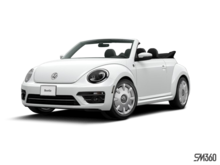 The Beetle Convertible boasts a look that’s distinctly its own. Curvy, bubbly, and brimming with personality. Steeped in history, yet poised for what’s around the next corner. A pop-culture icon that epitomizes nonconformity, freethinking and, with the top down, the freedom to let your spirit soar. When the Beetle first debuted decades ago, it had a mission: to set the world free from overstuffed, gas-guzzling behemoths dominating the roads. Instead, Beetle offered a refreshing new spin. Smaller, nimbler, more agile, more fuel efficient. And way more fun. Today, the Beetle Convertible carries on that fine tradition, updated with technology, primed for performance, crafted for comfort. And the freedom to drop the top and usher in a whoosh of fresh air, freedom, and infinite sky. 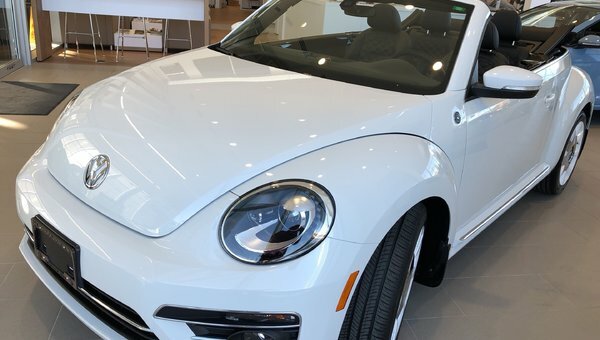 The 2019 Beetle Convertible is your own open-air party. And the whole world is invited.